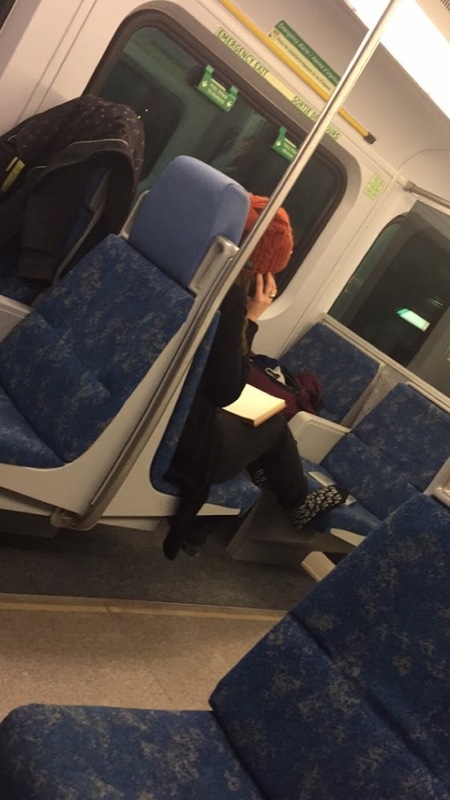 Just a note from your faithful mental case, I see that the train is empty but still, not even at 10 pm at night will it ever be your office or your living room. I don't even behave like this in a limo, or a cab. I don't get it. The problems are with society itself, you know. There are two basic personality/character types society's-in-general seem to revere and favor: The aggressive roughneck alpha types and the "civilian aristocrats". These two types are allowed to dominate and control everything and determine what "goes down" in their cultures. And at the expense of the reclusive, "unfavoured", and outcasts, who are often regarded as either "suspicious" or "heretical"---or even "threatening" or just plain "weird". Whoever society favours has unlimited carte-blanche while it's "lessers" constantly "have the law books thrown at them". THAT'S why all these people routinely flout the rules so unabashedly. It's because they're used to being allowed to do whatever they feel, because no-one's ever held them accountable for anything. They're used to privilege. That's why they do what they do without a second thought.